A 10-year-old girl was bitten in her backyard by a rattlesnake Friday. "It kinda felt like my foot was going to fall off, it hurt so bad," Rylee Mathews told KXII. Matthews was giving her dad a hand in their backyard in Marietta, Oklahoma, when she felt the reptile latch onto her leg. "There was this pile of grass, and I walked past it, and that's when the snake bit me," Matthews said. A 10-year-old Oklahoma girl is recovering after being bitten by a rattlesnake. 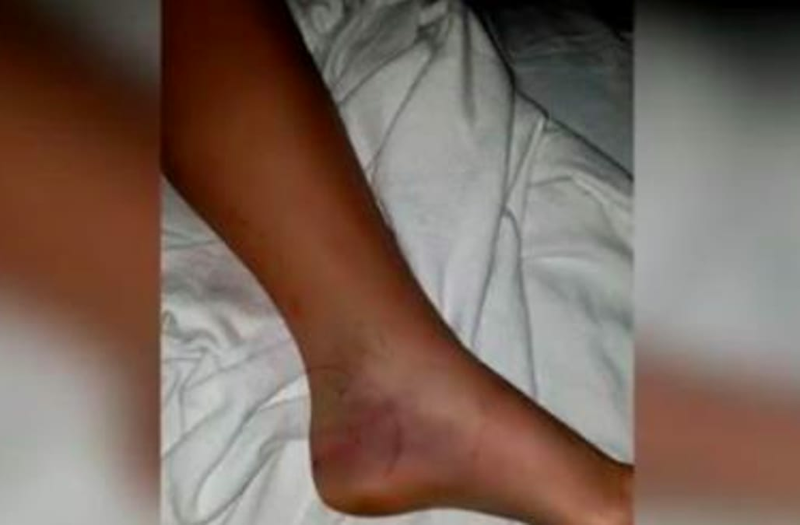 Her parents rushed her to a local hospital after the swelling on her leg began to spread. "I was panicking, and I thought they were going to have to amputate my foot," she told the outlet. Matthews said she was bitten by one of southern Oklahoma's five venomous snakes, a western pygmy rattler. The western pygmy rattlesnake (Sistrurus miliarius streckeri) is a small, venomous pit viper commonly found in the south-central region of the United States. Though its bite is not fatal, its highly recommended that victims seek medical help immediately if bitten. Other venomous snakes native to the area are the western diamondback, timber rattlesnake, copperhead and western cottonmouth snakes. Michael Porter, Noble Research Institute's Senior Wildlife Consultant, told the local station that the rattlers start coming out more in the area during the springtime and typically become more active the hotter it gets. "They can really come out anytime, even the winter if its warm, but they're out all the time in the spring and summer," Porter said, advising others that the best way to avoid being bitten is to "watch where you put your hands and feet." "The consequences of not watching where you're going can be painful," Mathews adds.